I don't know much about Volha jewellery, apart from that I love it! This is due to articles on the pieces being written in Russian - not my forte! I discovered it through the incredible stylish Russian beauty Miroslava Duma. 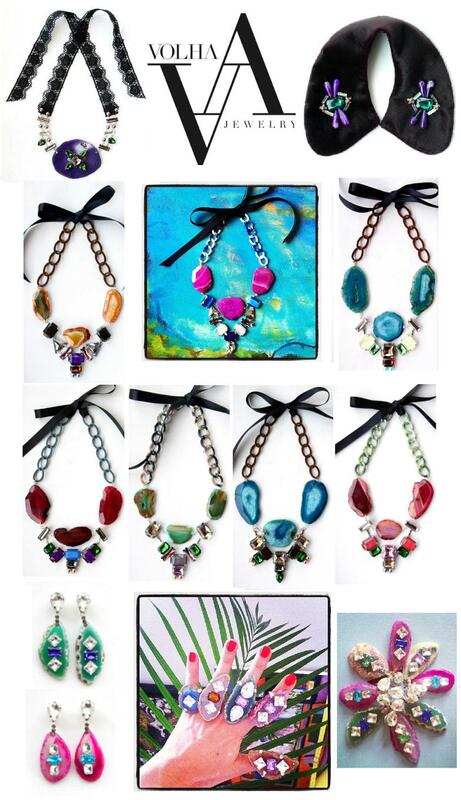 Made with agate stone, rhinestones and chain, the bold necklaces come in every sort of colour combination. Each piece would add a very special touch to any outfit. Their Facebook page displays their wide ranging collection, check it out here.